↑ Breitenmoser, U., Mallon, D.P., von Arx, M. & Breitenmoser-Wursten, C (2008). 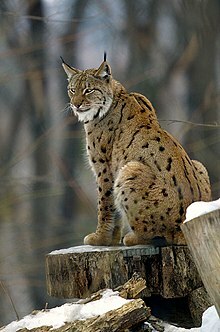 Lynx lynx. In: IUCN 2008. IUCN Red List of Threatened Species. Downloaded on 2 February 2008.